I love the holiday season. It’s a busy time for DJ’s hosting celebrations, parties, special events and more. So far this month I’ve hosted two fabulous events: Out For Reel’s “After Party” and the employee Christmas party for Chicopee Savings Bank. Out For Reel: Within seven weeks I DJed two “After Parties”. The first soiree was held in October at the Clarion Ballroom in Northampton, MA. Close to 300 people attended the kick-off event and it was non stop dancing from start to finish. The second “After Party” was held at the Northampton Center of the Arts in Northampton, MA. The ballroom is a large, beautiful wide open space. I used an 18″ powered sub-woofer to make sure there was enough boom-boom for the room-room. From the beginning the energy was tremendous. 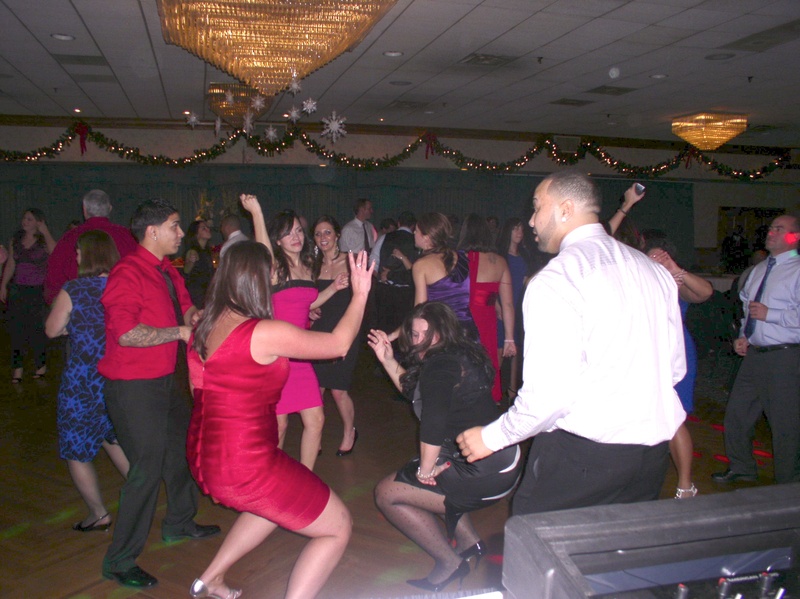 The party started at 9 and by midnight when the event ended, there were over 200 people still on the dance floor. I played a variety of popular dance and party tunes from: Rihanna, The BEP, Taio Cruz, Usher, Pink, Lady Gaga, Katy Perry, Cascada and Beyoncé. 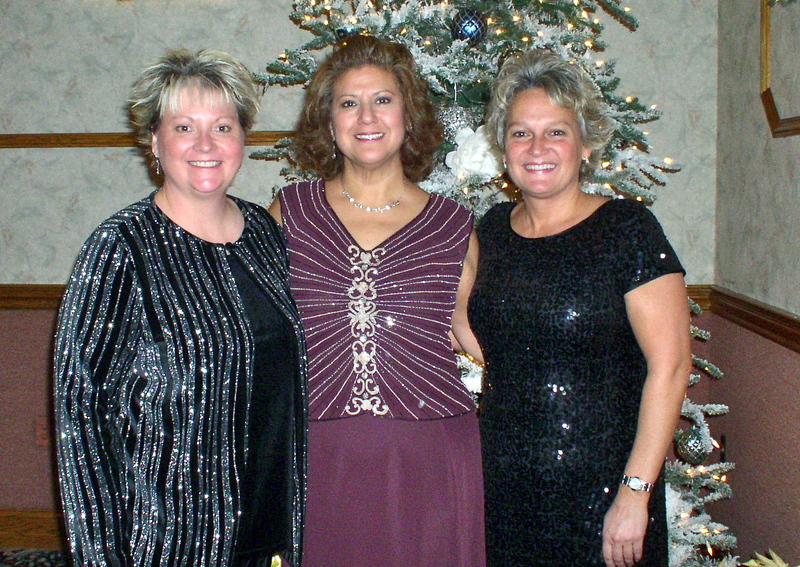 Chicopee Savings Bank Christmas Party: This was an awesome event and I hope to be back next year. The party was held at The Castle of Knights in Chicopee, MA. Over 180 people attended and they were ready to celebrate as soon as the doors opened for cocktail hour. The food was very good and the service commendable. The age group was mixed and I was given a great playlist to work with. I incorporated disco, top 40 dance, classic rock, notable ballads and some old school drops. During dinner I visited guests at each table to socialize and get additional song suggestions. I love to meet and mingle. In the short time it takes to visit, I’ve made friends and gauged what songs will get people up and onto the dance floor. Below are a few pictures from the lively & festive occasion. This entry was posted on December 16, 2010 at 11:38 pm and is filed under Martini Events. You can follow any responses to this entry through the RSS 2.0 feed. You can leave a response, or trackback from your own site.